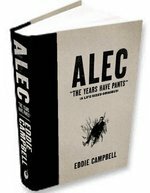 News | Fantastic video interviews with Eddie Campbell and Nate Powell! 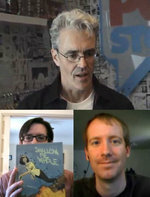 Award-winning graphic novelists Eddie Campbell (The Playwright, Alec) and Nate Powell (Swallow Me Whole) have each been featured recently in relaxed, intelligent interviews that penetrate deep into the craft of making comics. 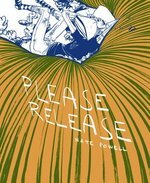 There are plenty of great insights here from two artists from very different backgrounds, and both are well worth your time -- for anyone who loves comics but especially for comic creators. 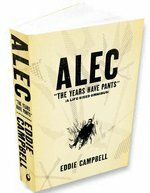 In a newly-released video interview from last year's trip to Italy, Eddie Campbell talks to Alfredo Goffredi about how technology changes illustration, why he makes comics about everyday life, why he's never satisfied, why he considers himself a writer who writes with pictures, and why sometimes you have to smash alarm clocks with your children for the sake of Art. 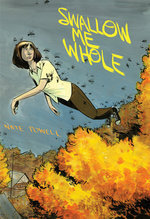 Then, Nate Powell speaks with The Economist's Will Wilkinson for BloggingHeads.tv in a no-holds-barred discussion of graphic novels. They cover Nate's work, his growth as an artist, writer, and self-publisher, his experiences in the comics community and his perspective on the current state of the art. You can view both interviews embedded below, by clicking Read More! Eddie Campbell @ POPstore (Parma, Italy) 1/2 from mind the closure on Vimeo. Eddie Campbell @ POPstore (Parma, Italy) 2/2 from mind the closure on Vimeo.